For each of our home games, SVRG donates 10% of all proceeds to charity. A portion of our March 24th bout proceeds went to benefit Habitat for Humanity, and 100% of the profits from our Derby Girl Karaoke event at the Normandy House Lounge in Santa Clara on March 16th were given to Habitat for Humanity. Combined, we donated about $1,000 and 100 volunteer hours to Habitat for Humanity this year alone. 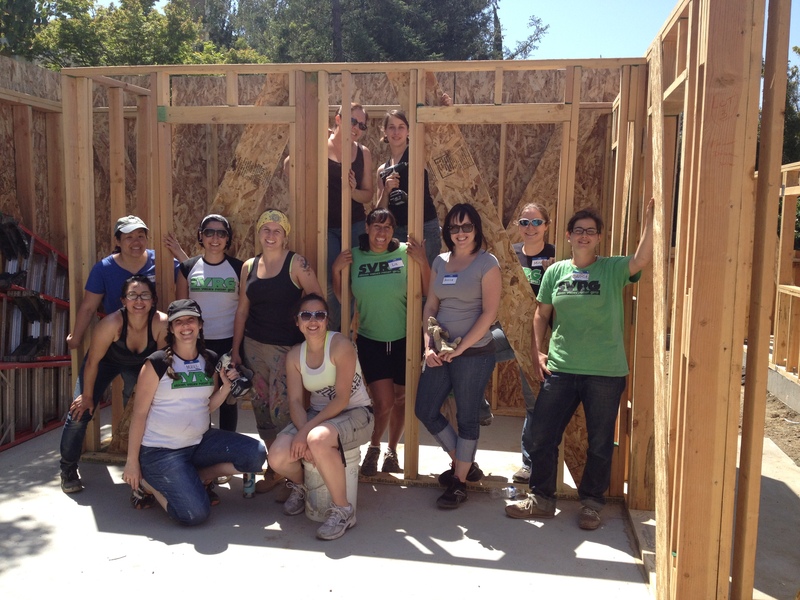 For over 25 years, Habitat for Humanity Silicon Valley has been helping hard-working families who live in inadequate housing find affordable and safe places to live in Santa Clara County. Together with volunteers, these families build houses and embark on the path to homeownership, thanks to generous donations of money, labor, and supplies. One Brick is a unique national organization that helps volunteers contribute to a variety of nonprofits on a drop-in or one-time basis. One Brick takes individuals or groups, and allows volunteers to commit a couple hours or an entire day. With a dozen chapters located across the continental US, volunteering in your area was never easier! We love volunteering for One Brick projects! 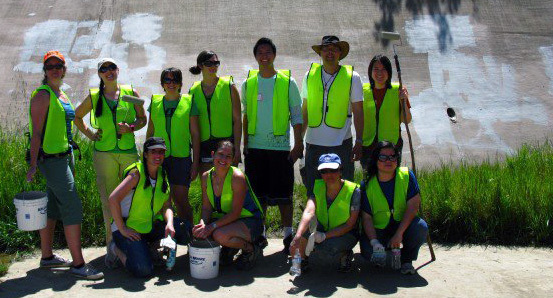 For the Global Day of Service on April 21st, SVRG helped paint over graffiti in San Jose. In addition to sweat equity, 10% of our May 19th bout proceeds went to One Brick. Be sure to stop by our table at One Brick’s Community Dog Walk in Palo Alto on June 24th. Meet some derby girls and their pets! Your $10 registration fee will go towards One Brick and, in return, your pooch will get a bandana and a doggie bag. A percentage of our June 23rd bout proceeds will be donated to Veggielution, a community farm in San Jose. SVRG volunteers have experienced the therapeutic effects of getting their hands dirty, spending a couple of sunny days in March and May weeding and gardening. 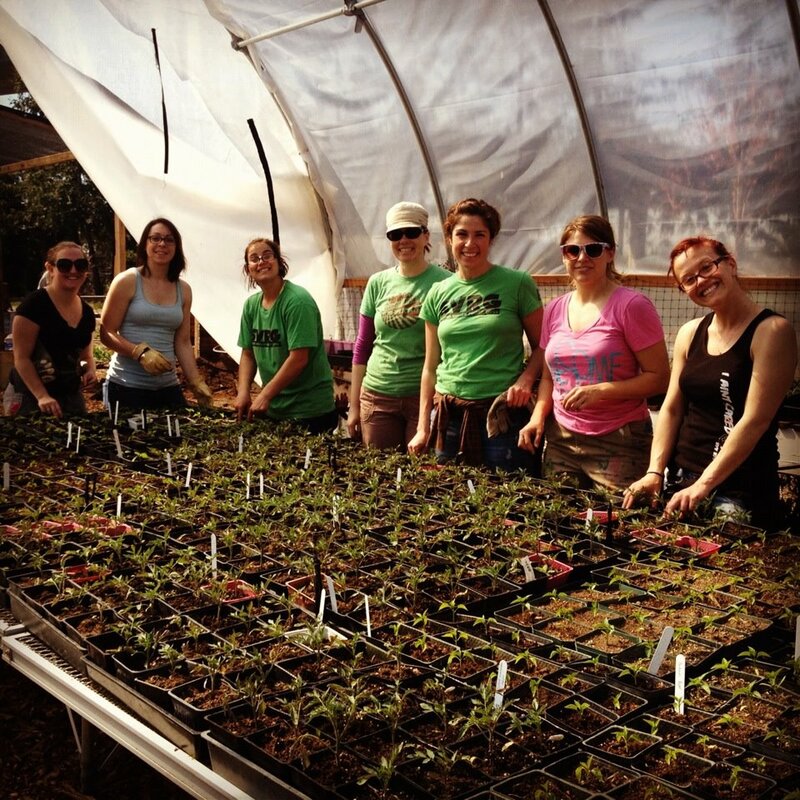 Veggielution aims to teach the public about sustainable urban farming and volunteers always go home with fresh veggies! community@svrollergirls.com. We’re always looking for ways to give back to the community!